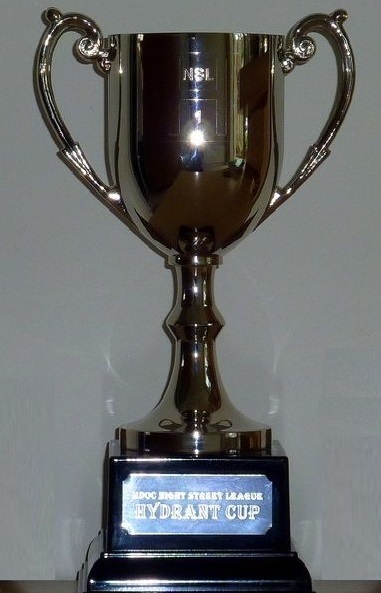 Night Street League Series 2018-19 'Cup Final' at which trophies and prizes for the 2018-19 series are presented. The Cup Final event has been planned as a VIRTUAL event. You will run with a paper map and your smartphone with the MapRun app downloaded. In addition to providing access to an electronic version of the event map on the phone, the app records your route, the controls you visit and the time you take. The free MapRun app is available for Android smartphones (4.2 and up) at Google Play and at the App Store for Apple iPhones (iOS 9.0 and up). After downloading the app, you need to input your name, age, and gender. Maps from countries all over the world are available through the app. Look for the UK folder and then Manchester. The Urmston Cup event is called MR Urmston Cup PXAS PZ ScoreV60 which is bit of a mouthful but the name informs the system of the type of` event it is.You will not be able to see the map until you have the PIN which will be available at the Pub on Tuesday. Before the Event the Planner inputs the locations of the Start/Finish and Controls in terms of latitude and longitude. In that respect they are “virtual”. In practice the virtual sites chosen for Urmston coincide with real features such as green boxes and telephone poles although we have added the odd path junction. Ensure that your smartphone allows the App to access location services. The whole thing relies on GPS. The App uses the location services in the smartphone to “dib” each control. At the end of a run the data is loaded to the Server (at the press of a button) which calculates the points scored/penalties incurred and displays the Event Leader Board on the web. The route taken is also transferred to Routegadget, and Strava too if required. It’s not quite paperless. Every runner has a paper map. The App sounds good to us so we hope that you give it a try. On the night there will be a Help Desk manned by Virtual Veterans, but please find and download the free App before you come to Urmston. In an ideal world, we would love everyone at the event to use a smartphone to compete. Realistically, we recognise that there may be one or two people who cannot access a suitable device. We are anxious that no-one should be excluded from taking part, and will provide a conventional answer sheet for anyone who needs one. Rest assured, through the intricacies of the handicapping system, even those providing written answers will have an excellent chance of lifting the trophy. We will be using the Roebuck’s function room, and there will be experienced MapRunners at a Help Desk to assist you. The pub has free wi-fi, but your usual 3G or 4G will do the download/upload stuff just as well. There will be printed control descriptions in strips (about 12 x 5 cm) similar in width and length to those used in conventional (as opposed to NSL) orienteering events. Standard holders will be ideal for carrying them around. You will be given the PIN on your way to the Start. The Starter will have the usual paper maps ready. When the App registers the Start and beeps you are given the map, and off you go! The App displays the map, but it is titchy. A paper map is best for running. The App also shows the time taken, the time remaining and the number of controls visited but you will probably want to take your watch too. You don’t have to carry your phone in your hand, it will work perfectly well in a bum-bag or pocket. The App recognises the Finish and ends your run when you come near it, so it is important that once you have started you do not come past the pub again until you want to finish. You must then upload your data to the MapRun Server (and to Strava too if you want to). The App will prompt you. Every result will be instantly available on a big screen in the function room. .......and we haven't forgotten those people using conventional answer sheets! To reserve a map for the event, please email Grahame at , indicating the number required, by 10pm on Friday 8th March. Please confirm whether you will be using a smartphone (that's 99.9% of you), or whether we need to supply a conventional answer sheet. Don't forget to charge your smartphone before you arrive at the event on Tuesday.